Yahoo Mail is a free web mail service with registered users of over 279 million. It is perhaps the largest web based email service followed closely by its competitors such as Microsoft Hotmail and Google’s Gmail. Yahoo Mail has now decided to get its first major revamp since 2005. The main purpose behind redesigning the Yahoo Mail is to make the communication system much more compatible with social media and make it a message hub for its users. By this we mean that the users will now post updates to Facebook and Twitter by still remaining on their Yahoo Mail page. Texting and sending instant messages right from your Yahoo Mail has already been updated. The redesigning of the Yahoo Mail will also help its user to view photos and videos from Picasa, YouTube and Flickr right from their inbox. 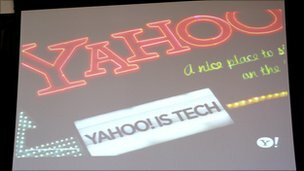 Yahoo also claims that the service will be faster than that of Google’s Gmail and Microsoft Hotmail. According to Yahoo Mail senior product director, Dave McDowell, Every month people spend more than 30 billion minutes on Yahoo Mail. He said the interest of the users in their services is the key factor behind this upgrade to Yahoo Mail. Yahoo Mail has already improved its spam filtering, and tools to search through mail to sort and prioritize messages easily. The recent revamping program of Yahoo Mail is focusing on refreshes feature that has already been introduced by its competitors. Gmail recently introduced its Priority inbox feature to its user and same sort of feature introduced by Hotmail as well. According to industry analyst, Greg Sterling, the upgrades in Yahoo Mail from the Yahoo Corp. are an important step to make the industry realize that it still has something useful to compete with rival firms. He furthers added that no doubt Yahoo Mail is a big asset for a company with a large user base but the major challenges they are facing in the present scenario is to make their Yahoo Mail services more cool and smart. He continued saying that no matter the Yahoo Mail has lost some of its chic or cachet to Gmail among early adopters, if Yahoo still presents some cool services to its user base, they will certainly win over its competitors. In recent years, certainly people don’t like to have all these features in their email inbox, but the time has changed and many new websites come into the scene and the change is now inevitable. 2 Responses to "Yahoo Mail First Major ‘Overhaul’ in Five Years"
That’s a major revamp after 5 years. Good to see yahoo back. Redesigning Yahoo mail will be a good step forward after 5 years.